I needed to come up with a thank you card for a friend of the family and the sketch at Sunday Stamps was the perfect starting point. Like myself, our friend is from Colorado (well, I lived in MA until I was 12, and spent my teen years in CO) and she is a huge Broncos fan. I HATE the Donkeys, as I call them, but I like to tailor my cards to fit the personality of the people receiving them so Donkey colors it is on this card, especially since her team is in the playoffs (and my Giants are not, grrrrr). 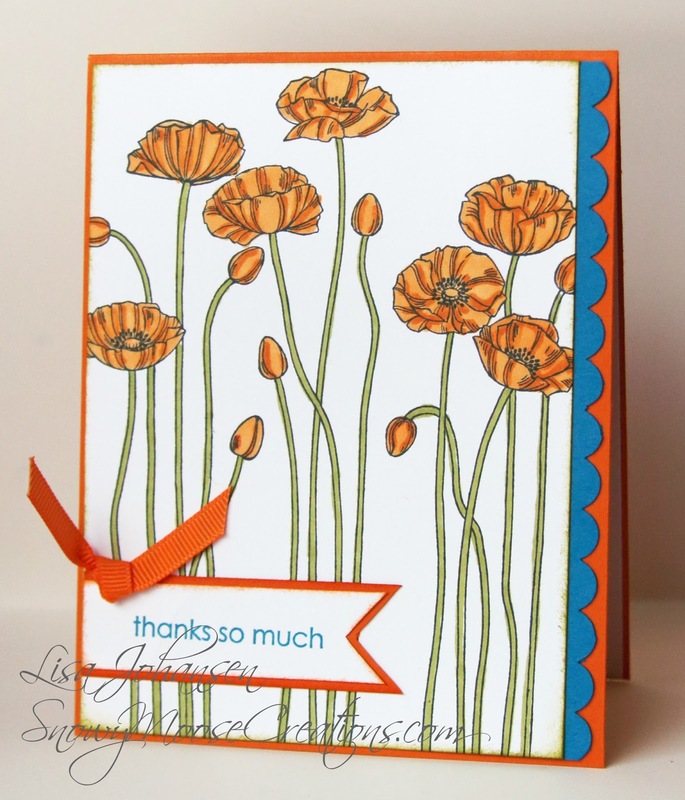 I just love the Pleasant Poppies stamp. Such pretty flowers and so easy to use! I colored in the poppies with Pumpkin Pie Blendabilities, and in doing so discovered my medium and dark are dry. Not too happy about that as the caps all seemed to be on tight but whatever, I'll order a new set. Anyway, I colored the flowers in and used Old Olive for the stems. To do the Broncos theme I made the scallop border Pacific Point and also stamped the sentiment in the blue. 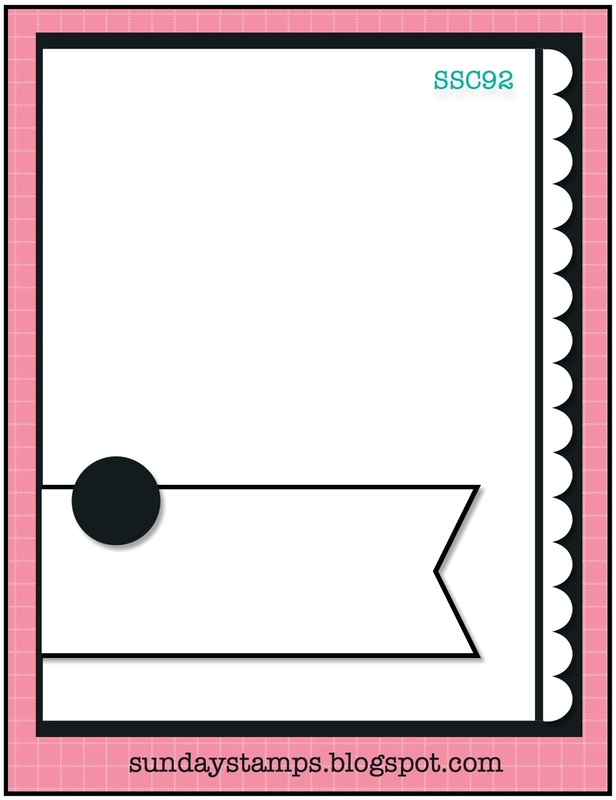 Nice and easy card! A lovely project and unexpected colour combo...very cheerful! Thanks for playing along at Sunday stamps this week!